We seem to be undergoing a market sentiment change as fresh signs appear that US inflation has bottomed. 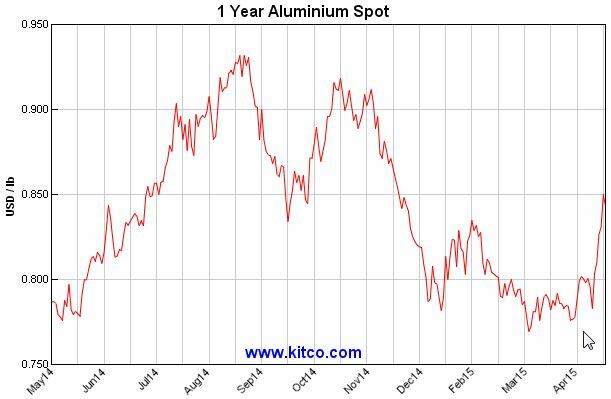 Commodity markets are firmer, particularly industrial metals. 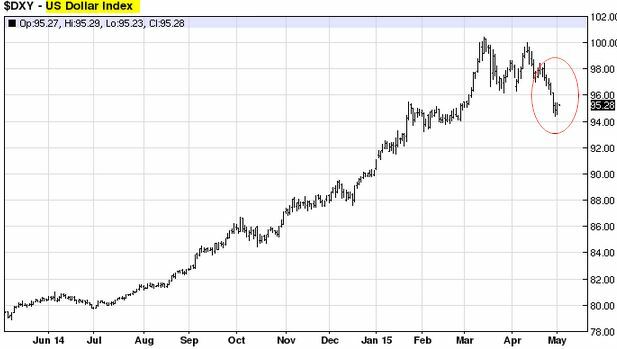 We've seen nickel prices moving up sharply a couple of days back (see chart). 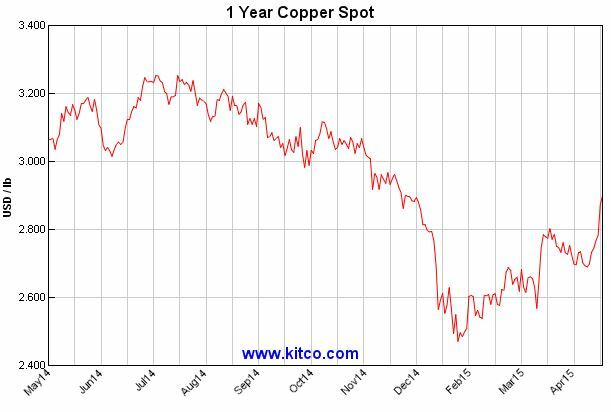 Here is aluminum and copper. Commodity indices are still near multi-year lows but seem to have found a bottom - for now. 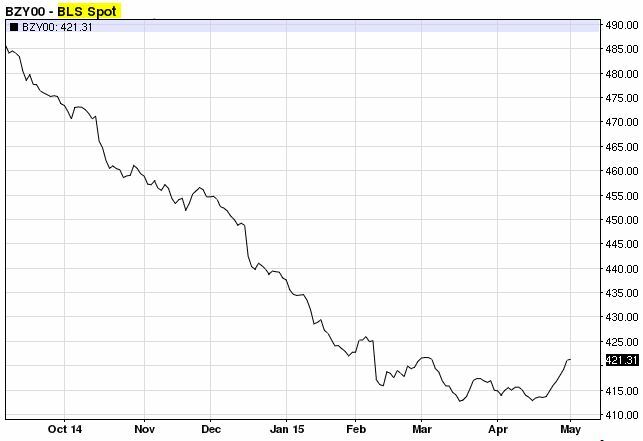 Here is the CRB BLS Spot Index. 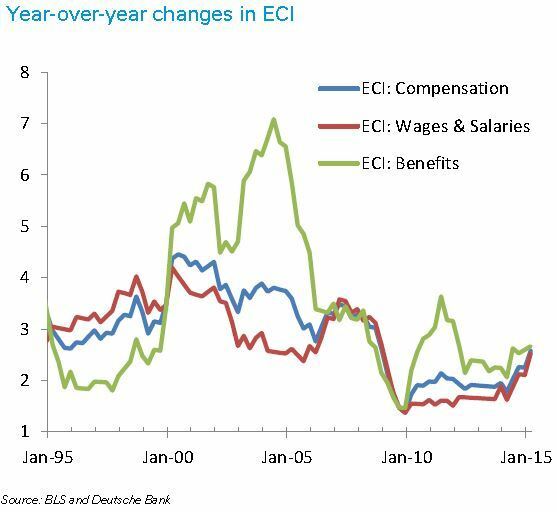 Moreover, the components of the US Employment Cost Index seem to indicate improved wage growth as well stronger increases in starting salaries. 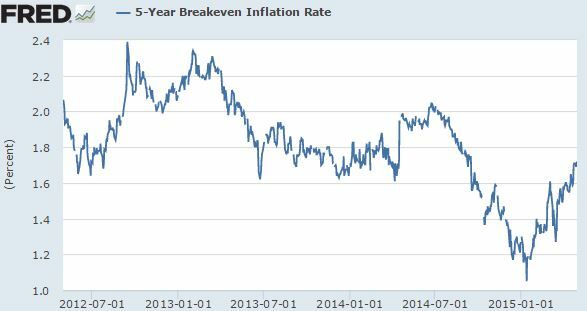 As a result we continue to see breakeven inflation expectations moving higher. The Eurozone has also seen an improvement in breakeven rates. 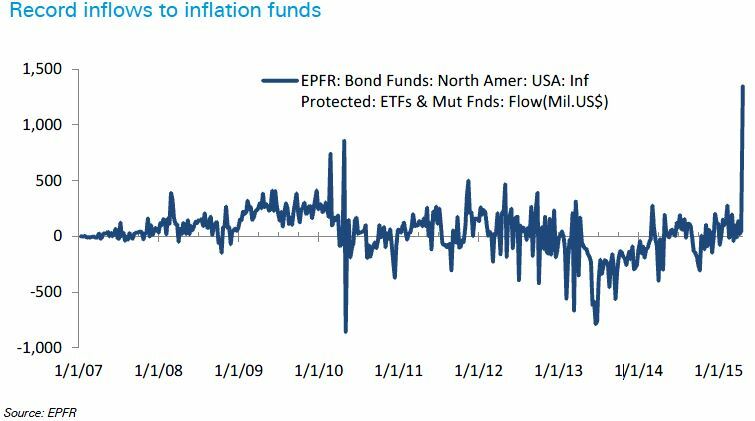 Perhaps the most telling sign that inflation sentiment has shifted is the record jump in inflation funds inflows (ETFs and mutual funds). The dollar of course continues to pose risks to this change in investor views. Should we for example see a 300K new payrolls print from the labor department this Friday, all bets are off. The Fed will be back in play, the dollar rally will resume, and inflation expectations will dive again. Such an outcome with the jobs report seems unlikely but a resumption of the dollar rally remains a risk.